Home » Blog » Free Printables » Free printable bridesmaid card, yes it’s FREE! Free printable bridesmaid card, yes it’s FREE! It’s been some time since I’ve posted but considering we’re coming into summer, I thought I’d update with the goings-on around here. To celebrate, we’re offering up a free printable bridesmaid card. However we’ll get to that in a sec. I’m happy to announce that our Handmade at Amazon shop is up and running. It involved a long learning curve as this is a new addition to Amazon and completely different from any other platforms on which I sell. I have just over a dozen designs available, but I’m adding something new every day and hope to have designs exclusive to Amazon. Let me know what you think! A new addition to our portfolio is our new Printables shop on Etsy. The printables market has exploded and this shop has enabled us to expand our line of products to offer instant downloads that are an affordable solution for customers. They are also great last minute option as they are ready for downloading instantly! Many items are editable so you can change the message as you like, print as many as you need and make it your own. The product line is expanding everyday and includes recipe and advice cards for brides and couples, stylish thank you, note and personal cards, welcome signs, wedding and Bar/Bat Mitzvah signs, bridesmaid cards and more products yet to come. 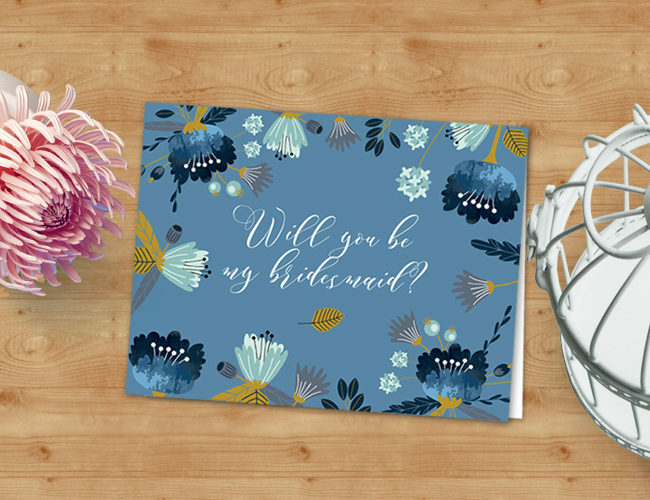 In celebration of the opening of the Printables shop, I am offering a free printable “Will You Be My Bridesmaid?” card. (right click to save the image that pops up). It is a jpg so the text is not editable, however there is an editable version on Etsy where the text can be changed to whatever you like. 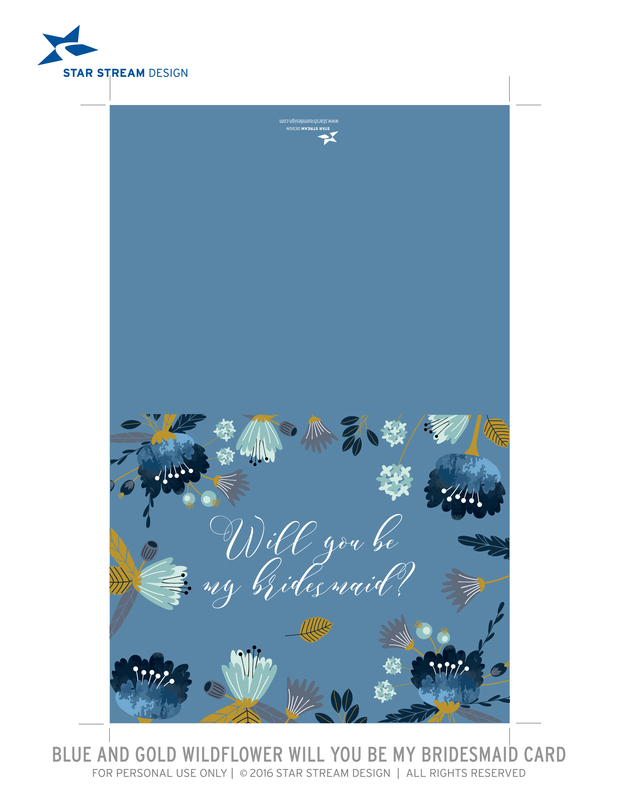 It’s a pretty and casual card that can fit in with a garden wedding or one that features blue as the wedding color. I hope you like it. If you do use it, let me know what you think and how you’ve used it and I’ll even feature it in our blog. ← Welcome. We’re up and running!